The operators of the recently opened Tule Wind Farm in San Diego’s East County presented two checks of nearly $100,000 each Thursday to the Mountain Empire Unified School District and Mountain Health and Community Services. 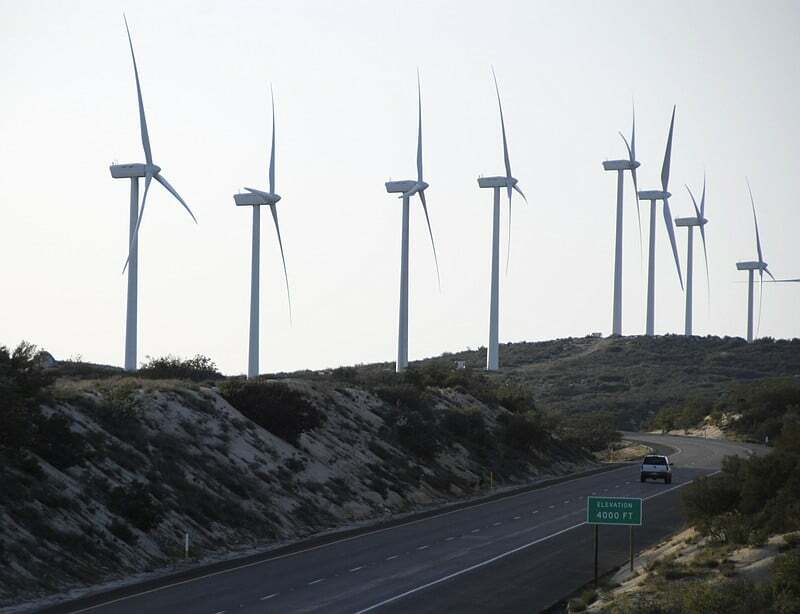 The donations by Oregon-based Avangrid Renewables were part of a Good Neighbor Agreement negotiated with the community in the development of the wind energy project that consists of 57 turbines that loom over the landscape in the rugged McCain Valley. Company officials say donations to various community and civic groups will be made during the life of the project that is expected to deliver more than $39 million in state and local tax benefits over 25 years. “We’re proud of our work to bring clean renewable power to thousands of California homes,” Avangrid Renewables CEO Laura Beane said in a statement. The Tule Wind Farm covers about 12,000 acres and launched operations Jan. 12 after 13 years of bureaucratic and legal battles. Some environmental groups say the project poses danger to the area’s habitat, golden eagles in particular. The company says it has been careful to make sure wildlife and birds are protected. East County organizations receive money from Tule Wind Farm, by Rob Nikolewski, The San Diego Union-Tribune, April 6, 2018.